Manchester United have been given a possible green light in their chase for Senegalese international Kalidou Koulibaly as the Napoli intends lowering his transfer fee following racist saga at Inter. The Manchester club have continued to keep an eye on the Napoli defender despite the departure of Jose Mourinho earlier in the month. The Axed Portuguese tactician prior to his sacking, has earmarked the Senegalese defender as major signing when the transfer window open in January,. However Solskjaer has taken over the managerial mantle and is expected to take the deal. Manchester United is keen on signing a defender despite having five defenders at her disposal in the persons of Victor Lindelof, Eric Bailly, Marcos Rojo, Chris Smalling and Phil Jones. Jose Mourinho pushed for a defender last summer but the Red Devils management blocked such moves. The Manchester club have now identified Koulibaly as their ideal defender. Prior reports have it that Napoli wants around £90 million while the Manchester club could only offer £70 million for the 27yr old. 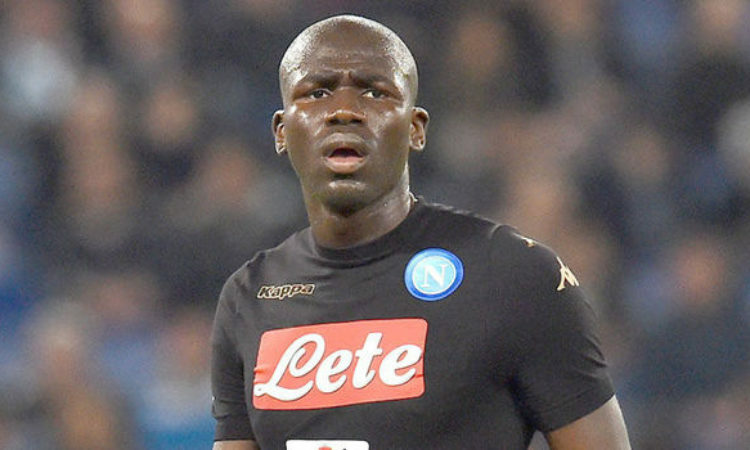 Koulibaly was in the spotlight on Boxing Day after racially abused when Napoli visited Guiseppe Mezza. The defender was dismissed during the match but, speaking on social media afterwards, hit out at Inter fans. “I’m sorry for the loss, but especially for letting my brothers down,” he said. The Daily Mail say that, in the wake of the racism row, Koulibaly could jump ship to England. But whether United fork out for him remains to be seen. Interim boss Solskjaer has already confirmed he will be consulted on any January transfer business. “I will have an input but the job is to get to know the players, observe them,” Solskjaer said last week. “I’ve seen more or less every game from Norway but [my job is] to get to know the players, what do I think I can improve them on and the club have got the recruitment and scouting. As well as Koulibaly, United have been linked with Inter’s Milan Skriniar. But they are not expected to pursue Alderweireld again despite the player being available for around £45million in January.